Pokémon hunting in the Garden can be a great way to stop and take a closer look at some of the gardens while connecting with other visitors. Ordinarily, we love our visitors to enjoy our gardens with their senses, not their phones, but with the new Pokémon GO app, you can do both. Tagging us on Facebook, Pokémon hunter Patricio28 shared these screen shots of the forest of PokéStops and Gyms at the Garden. Essentially an app that lets you run around and catch Pokémon using GPS and the camera on your phone, Pokémon GO has taken over the imaginations of kids and adults alike since its recent release. The game is global—users can play anywhere in the world—and the Garden is one of the locations with many features for those using the game. Nearly 50 PokéStops dot the Garden grounds, typically tied to sculptures and commemorative plaques embedded in walkways. In addition, six Gyms—virtual locations where players can train and battle their Pokémon—are currently found on-site. 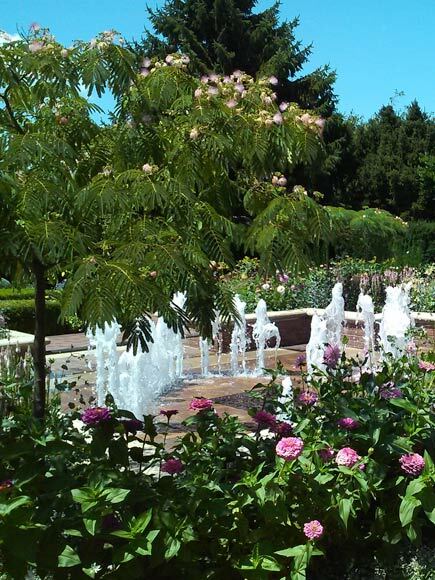 But that’s not all that’s to be found: the gardens are a mass of blooms and butterflies, herons and hostas, and beautiful sunsets. The best of both worlds—real and virtual—is here. 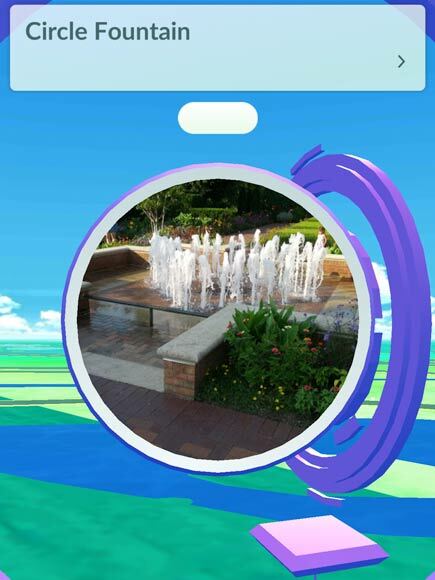 Two PokéStops can be found at the Circle Garden. 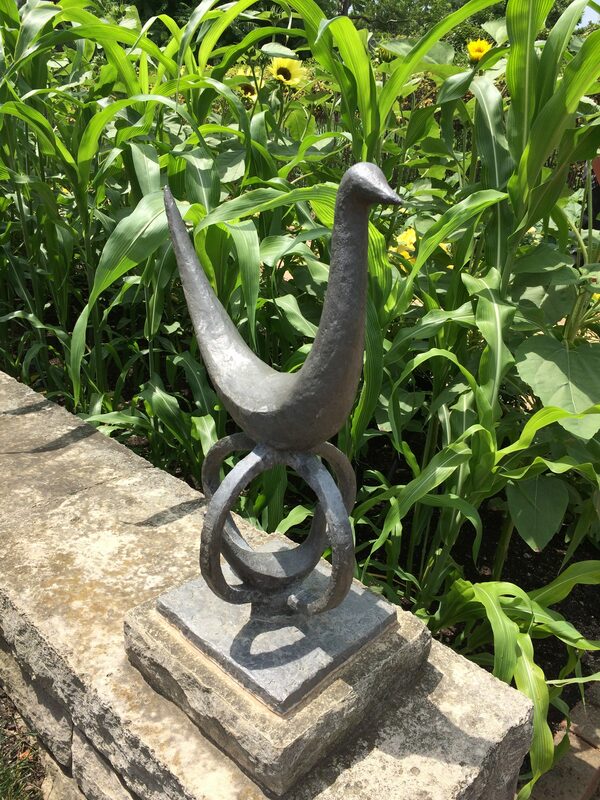 Hidden behind tall corn and sunflowers at the Regenstein Fruit & Vegetable Garden, Birds On Eggs by Sylvia Shaw Judson would ordinarily be missed in the height of summer, but as a PokéStop, visitors get to enjoy the sculpture and explore the path to the orchard behind it. 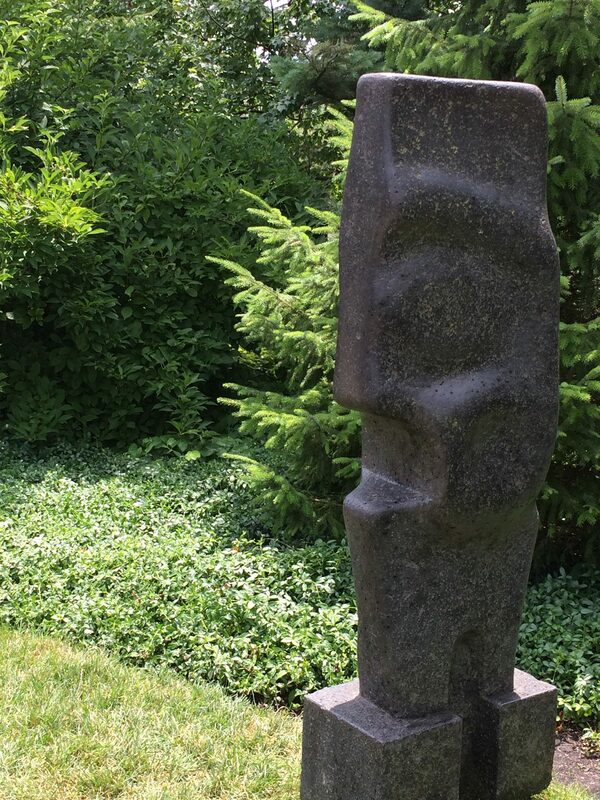 A Pokémon Gym location near Olivier Sequin’s Caricia sculpture takes visitors on a path less traveled behind the Farwell Landscape Garden. Look up! Please always be aware of people around you, especially in the Visitor Center. 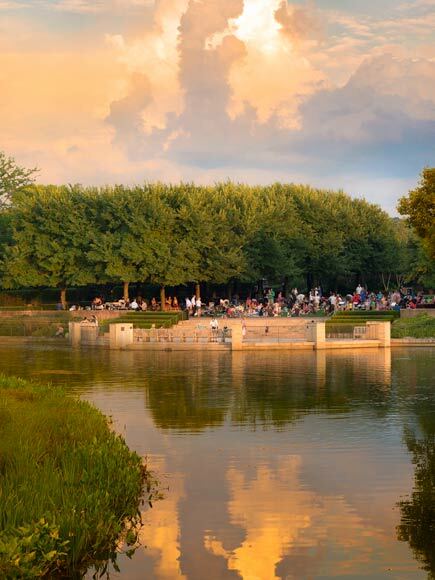 This is a popular location to plant Lures, as people take a break and eat at the Garden View Café and on outdoor decks. When you find a Pokémon on a path or in a garden, please take a moment to look around you first—you want to frame your screen shot nicely, but you also don’t want to ruin the visitor experience for our other guests, who may not have any idea what you are doing with your phone. Walk away, and walk back. If the GPS signal stops or you can’t get to a particular PokéStop, just keep walking. There is probably another one close by that’ll spit out more PokéBalls, eggs, and potions. The perimeter of the Garden is less crowded with Pokémon hunters, and it is a beautiful 2.3-mile walk. Hatch an egg or five while you take in the sights from afar. The Dixon Prairie is in full bloom, and the East Road offers a lovely vista of the Elizabeth Hubert Malott Japanese Garden. Visit the Daniel F. and Ada L. Rice Plant Conservation Science Center Green Roof Gardens (where a Pikachu was spotted earlier this week), and get back to the main gardens over the Trellis Bridge. 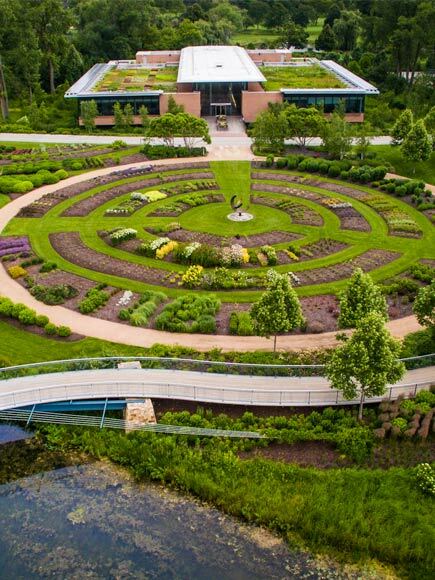 The Daniel F. and Ada L. Rice Plant Conservation Science Center Rooftop, and its view of the Garden. Find nighttime Pokémon as you picnic at our evening concerts. The Garden is open through 9 p.m. all summer, so stay late, and join us Monday through Thursday nights for open-air concerts at the Garden. Pack a picnic and some lawn chairs—and maybe an extra battery charger. 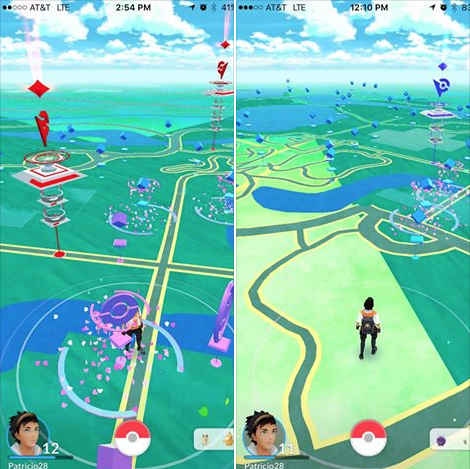 Activate a lure in the app to attract Pokémon to one of the PokeStops nearby while you enjoy the music. Get creative. The Garden is always a great place to take photos. Get creative by trying to screenshot your Pokémon frolicking on the grounds. 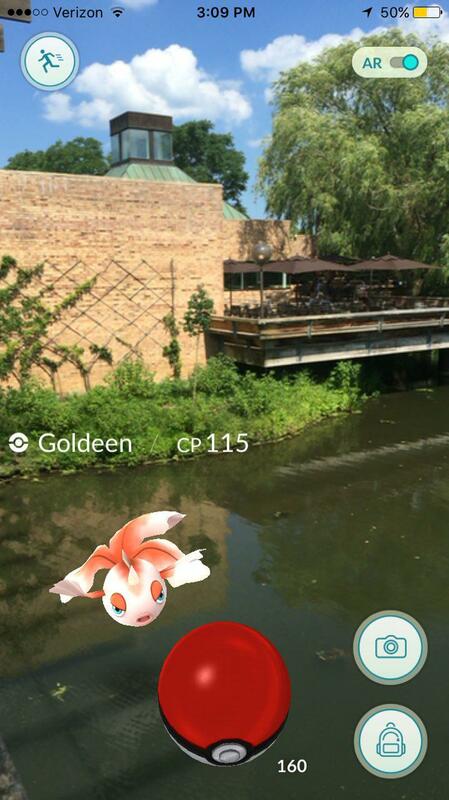 Get a shot of Goldeen swimming in a fountain, position Pidgey on the branch of a Linden tree, or catch Charmander riding a train in the Model Railroad Garden. The photos are also a great way to remember what you saw in the Garden, since the app’s journal tells you when you caught certain Pokémon but not where. Use the photos as visual reminders of the places you enjoyed on your Pokémon hunt and as a way to mark what you’d want to experience further on a future visit, either on another virtual adventure or for an unplugged trek. Tell us what you find. Grab a screen shot and tag us on social media with #CBGPokemonGO—we’d love to know what you find and share with our other visitors. 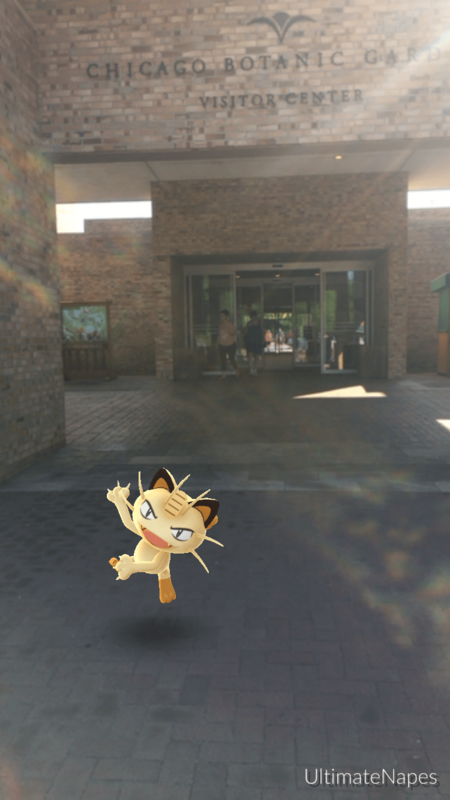 We have found that Meowth is almost always hanging around the entrance to the Garden, which is also a Gym location, as well as the path to the Visitor Center. 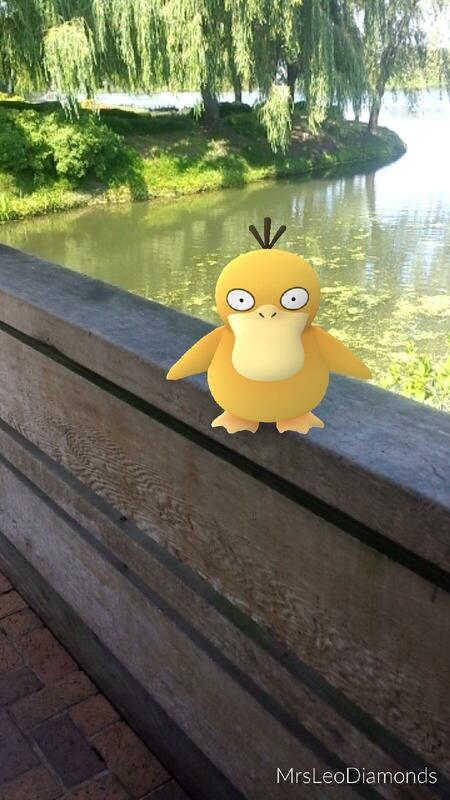 Psyduck is usually on the southern end of the Garden, but a Golduck has been spotted by the Crescent Garden. There’s a lot of water here, so expect to catch Goldeen, Magicarp, Polliwag, Shellder, and Staryu. 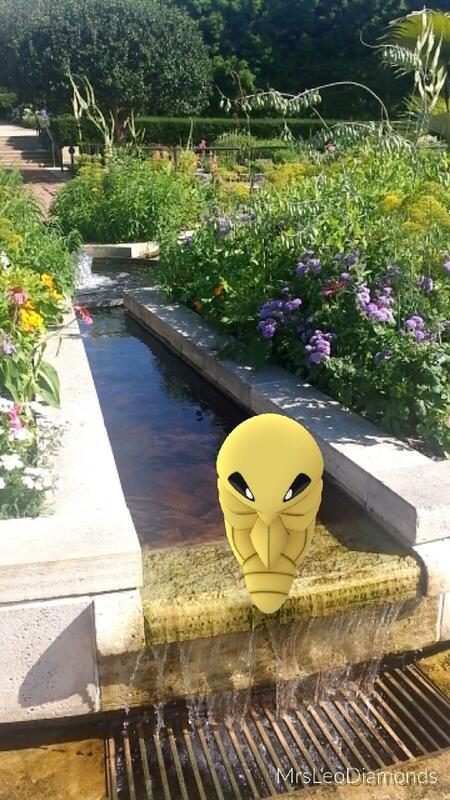 A garden is full of birds and bugs, and ours is no exception—Pidgey and Spearow abound; Weedle, Metapod, Caterpie, and Kakuna are out and about. Ratata can be found near buildings, of course, and Eevee can be found throughout the Garden. Dratini and Bellsprout were lurking here this morning.